For my first official review for Candlefind, I decided to try some luxury candles from a popular brand called Illume. Although this is my first experience with Illume’s jar candles…it is not my first experience with this brand. I have enjoyed their votives in the past and loved all the interesting fragrances, but… there’s only so much a votive can do in a large room. So this time I figured… if I want a bigger scent throw… I need a bigger scent pool. That meant, “Illume’s jars, here I come!”.Illume Candles are an indulgence for me because they are considered a luxury brand and are priced a bit higher than my usual fare. Even so, I was drawn to the beautiful photos and scent descriptions. Their web site has a clean modern style that really appeals to me… It’s absolutely beautiful. Illume offers many different candle scents including their signature collection of 23 popular fragrances…a bit of something for everyone if you don’t mind spending some mad money. With autumn fast approaching, I thought this was the perfect time to give Illume’s “Simply Fall” and “Winter Bliss” collections a try. I chose Roasting Chestnuts, Heirloom Pumpkin and Vanilla Amberwood. I was looking for scents that would offer a new spin on some old favorites… all three scents seemed to present something a little different, but still offer the comfort of being surrounded by a warm familiar fragrance. I’m all about feeling warm and cozy in the autumn months when the air gets a little chilly. Each one-wick jar had a small silver label on the side. Usually I leave the labels in tact and these were certainly pretty enough to stay…but I was curious and did remove one of them. It was simple to peel off and I liked the clean lines of the plain frosted jar. What did my candles smell like? Say no more…I’m in! I was hoping for a bold nutty scent with a true caramel background. I didn’t want a vaguely sweet vanilla, and nothing too syrupy either. I knew I was asking a lot from this one candle, but it delivered! The caramel smelled good enough to eat but it took a backseat to the warm chestnuts. The chestnuts were hardy and balanced the sweetness with a toasted saltiness. This fragrance blends its notes seamlessly. It was well rounded and boisterous – like the life of the party. I could smell this candle all over my main room and even down the hall. It had a strong buttery, nutty scent that completely surrounded me. I could have hyperventilated smelling this one! When it was gone, I was still sniffing the empty jar. There are many pumpkin scents to be found, so I hesitated to even review a pumpkin scent. However, the word “heirloom” caught my eye and the description sealed the deal. I found myself anticipating a pumpkin scent that was not in the form of a pie. I like pie scents, but with Heirloom Pumpkin I was looking for something unusual. After all, this one had cassia root and pumpkin seeds… it must be different. Heirloom Pumpkin from Illume would surely look down its nose at the ever popular pie version of the pumpkin that’s out there. So I lit it and waited for the magic.I could smell the cinnamon…then the pumpkin…and yep – there was the brown sugar. All of the usual “pie” suspects. 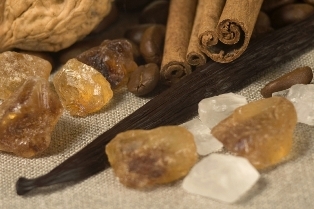 The brown sugar gave it a sweetness and the cinnamon had a light powdery quality that may have been the cassia root. I discovered later that cassia root smells very much like cinnamon. I was really hoping for the smell of roasting pumpkin seeds somewhere in the background but I didn’t find them anywhere ( I was bummed). Now I’ll probably be compelled to roast my own pumpkin seeds again this fall…finding a pumpkin seed scented candle would have been a lot less messy.I liked this scent. 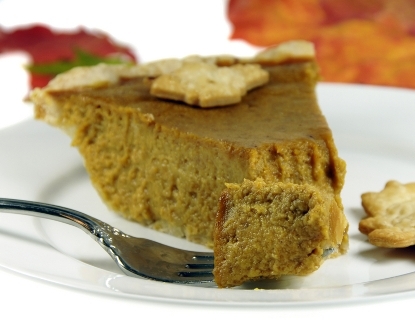 It was like pumpkin pie without the crust. It was not too sweet and had a moderate throw. Even though it wasn’t the spicy pumpkin seed that I had in mind, it was still a very good foody type scent. Calling all pumpkin lovers…this one just may be for you. Aha! Here was a vanilla that was different…there was no cake here. It was a sophisticated sultry vanilla that didn’t even glance towards the kitchen. I could detect the amber distinctly (which I loved). The orange blossom and sheer woods weren’t a prominent part of this scent but they did keep the vanilla out of the bakery and plant it squarely in front of Tiffany’s.Vanilla Amberwood was more subtle and alluring than the other scents that I sampled. I placed this candle in the bedroom, a considerably smaller space than my main room, and the scent stayed in the background; never overpowering. This was definitely a lighter scent than Roasting Chestnuts and Heirloom Pumpkin, but not unexpected for the type of fragrance it was. I thought it well suited for romance. This would be a great gift for someone who doesn’t tolerate strong fragrances. It had an elegant presentation and a beautiful but light scent throw. How did my candles from Illume burn? All three of my jars burned completely with no soot and even during one long three and a half hour burn time, I never felt compelled to trim the wicks mid-burn. I trimmed the wicks each time I relit them and that was the only maintenance required. Each one had a deep melt pool that reached the sides of the jars quickly making for clean jars and very pretty burns. The wicks all developed a small carbon ball after my marathon burn time but were easy to care for. The color of the wax positively glowed through the jars while burning, which only reminded me of why I love to burn candles. These babies just insisted on being the only light in the room. Visually, all three were stunning. I thoroughly enjoyed all three of my Illume candles. Each scent was intriguing and I found myself wanting more. 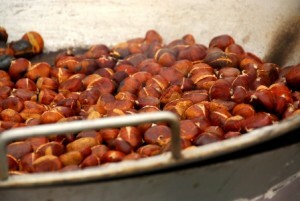 The standout scent for me was the Roasting Chestnuts and I would love to invite Autumn in with this scent every year. I’m curious about other fragrances from Illume and being confident about the quality of their products… I will surely go back for more regardless of the price. Why can’t I find Pumpkin Nut Bread candle anywhere? It is distributed by Illume! Thank you! Illume changes their scents every year so Pumpkin Nut Bread could be retired.